The 75 heirs of a legacy Texas homesteading family are divided. One side wants to keep the water under a total of 11 thousand acres just north of Balmorhea, the other side is selling their water for fracking. It’s a scenario playing out across west Texas as water rights become increasingly valuable. Kendall McCook of Fort Worth is one of the dozens of heirs to a sprawling piece of west Texas. He described his concerns about a middleman who is buying water from one set of heirs. Like McCook, many of his relatives no longer live on their land. But unlike McCook, some of his relatives are selling their water to fracking interests in Reeves County. “My concern isn’t just the water being sold off of our place, but how many other people are selling water for tracking wells in Reeves County,?” he asked rhetorically. Records show that the answer is many people. That was clear at a recent meeting of the Middle Pecos Groundwater Conservation District in Fort Stockton. Several landowners were asking for permits to sell water to Permian Basin energy and oilfield service companies. 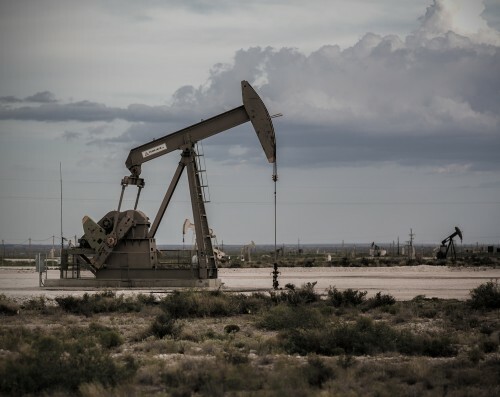 “There are a lot of people out there trying to sell water to oil and gas companies,” said attorney Don Burns of San Angelo who was present at the meeting in late November 2014. Burns says McCook’s relatives who are selling water are legally entitled to do so. But Burns says there’s a plethora of anecdotal and scientific evidence linking over-pumping to water depletion. And even with the falling price of crude, energy and oilfield services companies are paying serious money for water. Don Burns explained that land aggregation for both ranching and agriculture, not to mention access to water are intersecting at a pivotal period in the history of Texas ranches. Burns said the middleman signing contracts with one side of McCook’s family is but one interest making financial offers for ranch land that are hard to refuse. “Those are entities that are picking up the old pioneer ranches, the old homesteaded ranches,” Burns said. “It’s universal, it’s ubiquitous,” he added. Kendall McCook sifted through historical records showing that heavy pumping caused the flow at Comanche Springs in Fort Stockton to dry up by 1961. That took place after a precedent-setting lawsuit failed to curb landowners’ rights to use their underground water as they saw fit. The court ruling in that case laid the groundwork for the modern day legal interpretation of the Rule of Capture in Texas. In essence that rule means that with rare exceptions, you can draw the water that lies under your land without regard for consequences to your neighbors. “This is a serious potential problem in Balmoreah,” said Kendall McCook. “The springs that dried up at Fort Stockton can dry up in Balmorhea. If you have enough oil and gas people come in there and buy water to frack wells, that water will disappear,” he concluded. Longtime rancher Tom Beard of Brewster County chairs the Far West Texas Water Panning Group, the regional water planning board. He says McCook may be able to slow water sales by using more recent court rulings to support his case. That means that you must compensate someone if they are affected by you drawing water. But Kendall McCook says he doesn’t want compensation. He wants his family’s water to remain where it is. This entry was posted in KRTS News and tagged Agriculture, balmorhea, Fronteras Desk, Ranching, rule of capture, Water, water sales. Bookmark the permalink.